An innovation think/make tank, where they are able to scratch the constant itch of curiosity within the agency and charge into what's next in marketing and technology. Allen & Gerritsen is a dynamic advertising agency who utilizes analytics, technology, business strategies and creativity to invent new ways for brands to earn engagement from their consumers. 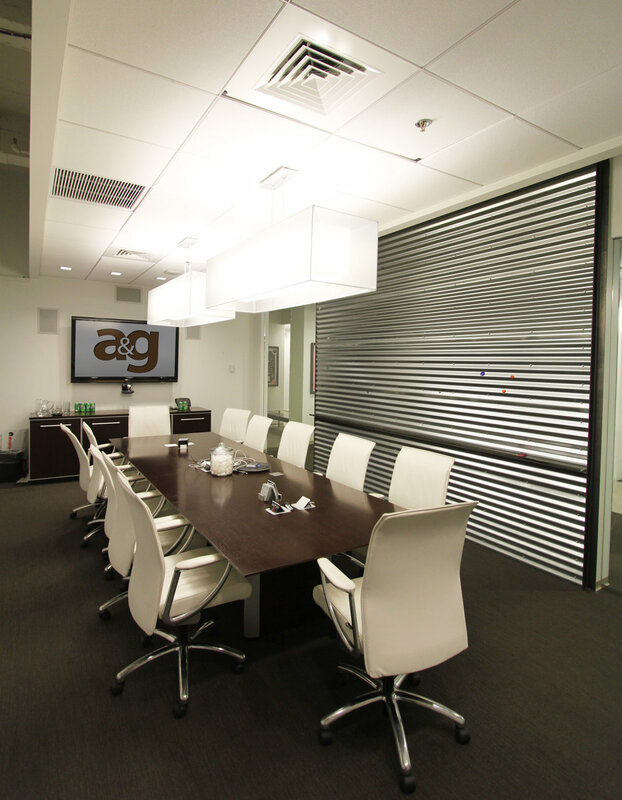 A&G engaged L2P to design their Philadelphia office and state-of-the-art innovation lab. 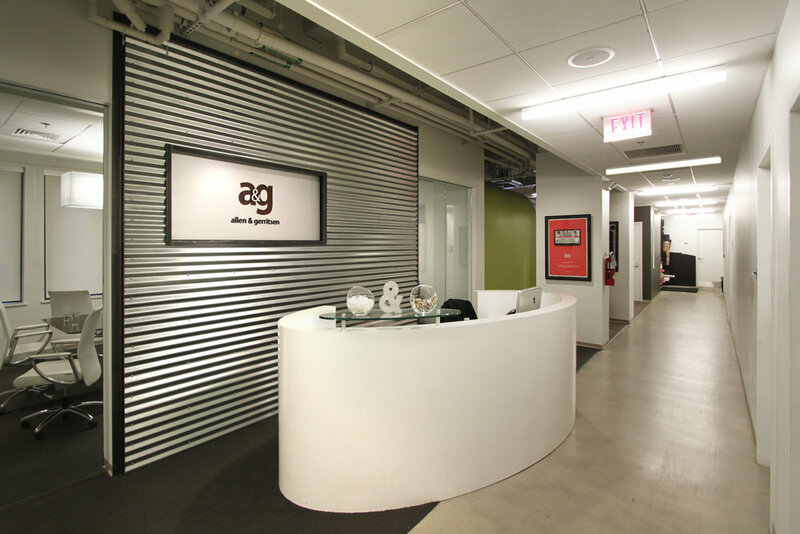 At A&G Labs, they are able to create opportunities and explore beyond the surface of emerging social and mobile platforms. It is an innovation think/make tank, where they are able to scratch the constant itch of curiosity within the agency and charge into what's next in marketing and technology. The design vocabulary reflects the agency’s creative, energetic brand and culture. The open workplace utilizes a flexible benching system allowing the space to easily reconfigure as the agency evolves. Employees have quick access to variety of collaborative, privacy and amenity areas. The main workspace is ringed with different sized meeting “pods,” private “mouse holes” which provide a space for employees to shut a door and have private conversation. 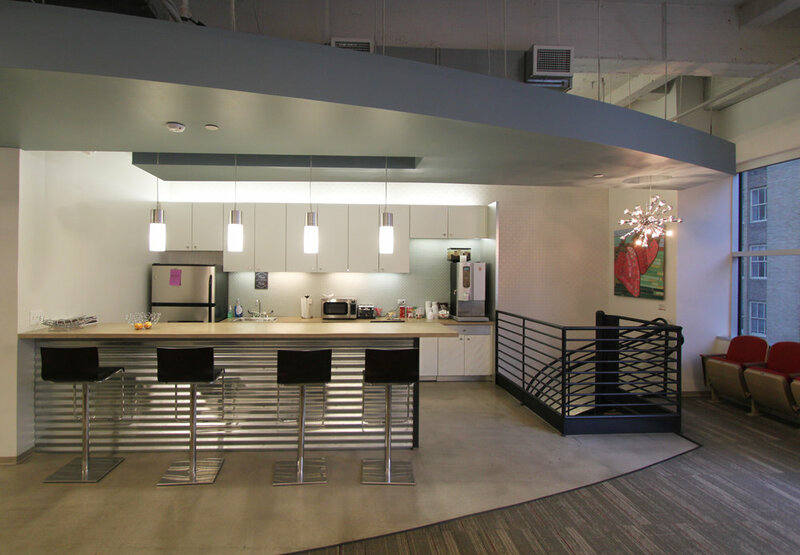 or have some think space, and an open employee lounge/kitchen serves as a community gathering area and informal meeting space. Wireless technology makes all shared spaces available to employees.